Being a parent is a blessing. Being a parent means countless hours. Being a parent means love. Feels like your heart is walking around outside of our body. Joy… Oh, the joy of being a parent. Being a parent requires supernatural strength. Requiring endless shots of caffeine. Being a parent means knowing when to back off. Knowing when to “Let Go and Let God”. Being a parent is scary. Hours beside your sick child’s bed. Endless worrying about their well-being. Worry… Oh, the temptation to worry. Being a parent requires solicited help. God, doctors, mentors, friends, and even our kids (our greatest teachers). Being a parent means standing up for your child. Knowing when to remain calm. Knowing how to discern daily endeavors. Being a parent means sitting next to a hospital bed. Praying… Oh, the need to hear from God. Being a parent isn’t for the weak of heart. Being a parent means unconditional love. Willing to take their pain. Willing to trade them places. Willing to sacrifice completely for their well-being. Being a parent isn’t for cowards. A good parent exhibits humility and self-control. A loving parent recognizes their need for help. Loving… Oh, the deep love of a parent. Here I sit next to my sweet Christopher’s hospital bed side. It’s been a long day and night. Actually it’s been a long month. He’s experiencing quite a rare situation. You never know what the day holds, and yesterday when I woke up I couldn’t imagine where our day would go. They found fluid on both of his hips, and it was bacteria related fluid. He had to have surgery on both hips to remove fluid and flush it out. It’s a pretty serious situation and we’re looking at least a 5 day to 3 week stay in the hospital. I prayed for my son. Yes, I wish God would have allowed an easier answer. However, I see Gods hand all over his diagnosis and care. 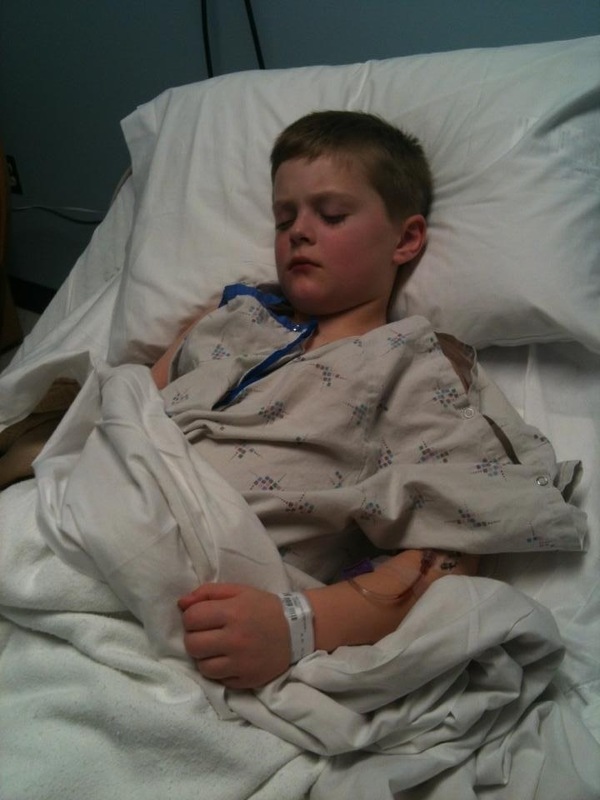 His pediatrician, Dr. Franklin, recognized the severity of the situation and immediately sent him to the orthopedic. The orthopedic, Dr. Todd, recognized right away the problem and sent him to the hospital. The surgeon, Dr. Mast was on call. He is the “best” in the area. A good friend, Dr. Bill Cambell, was on call to be his anesthesiologist. Our pastor spent a few hours with us, and prayed. Not to mention all the prayer, encouragement, love, support, and help we received from our friends and family. I’m reminded of the quote, “God doesn’t promise we won’t walk through any storms, just that he’ll walk with us through the storm.” This morning I’m thankful for the people God had put into our path. I’m thankful he guided us to the problem and is guiding the doctors as to the best way to help him. We’re looking forward to getting him back to full health and chasing his brothers and baby sister around. Today he’s in severe pain. He hasn’t been able to move his legs at all. His temperature is pretty high. Please pray for his quick recovery and most specifically that we can get his pain under control and his temperature down.